A $350 million life sciences division of a global company was rapidly losing market share in key markets. This organization had high sales representative turnover in certain US markets. The market share in these locations was 50% less than in other areas and further market erosion was expected. 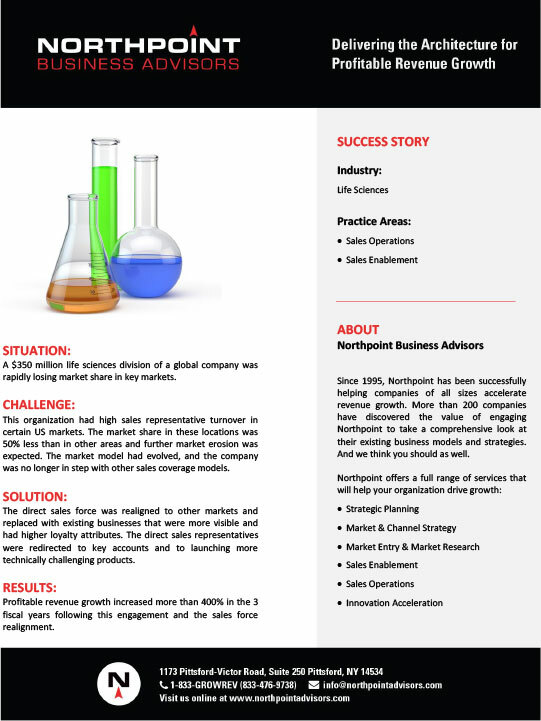 The market model had evolved, and the company was no longer in step with other sales coverage models. 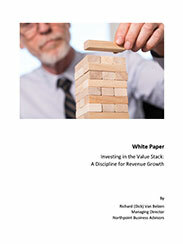 Stay current with the latest news, strategies and technologies for sustainable revenue growth. 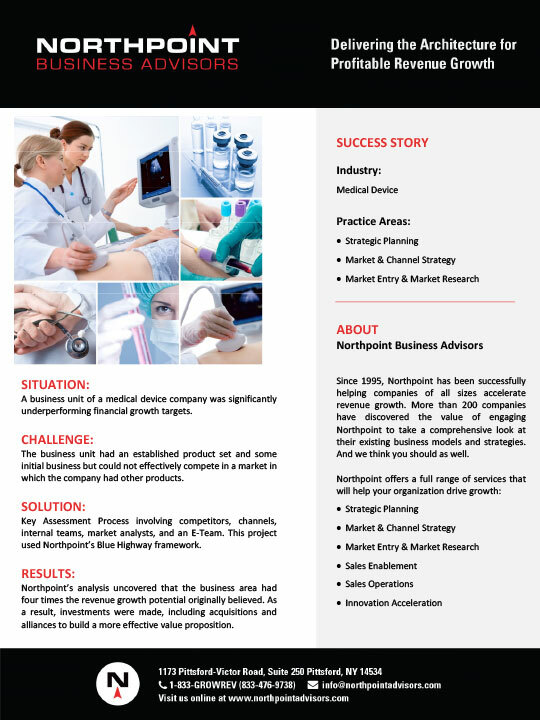 Subscribe now to the Northpoint Business Advisors blog. 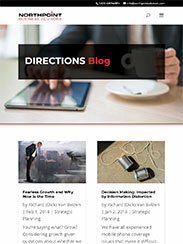 The DIRECTIONS Blog is a leading edge resource for revenue growth strategies. 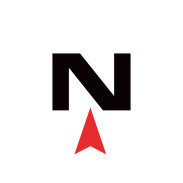 Explore our social media channels to read more about Northpoint's latest insights.